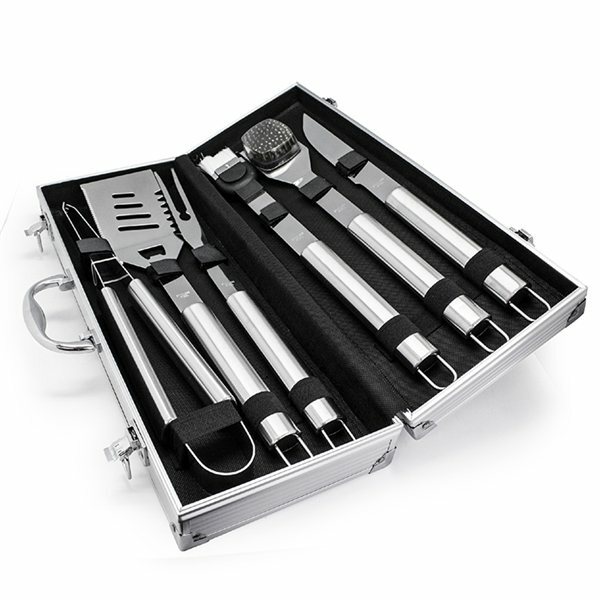 Set includes 6 hi-grade stainless steel BBQ Tools. 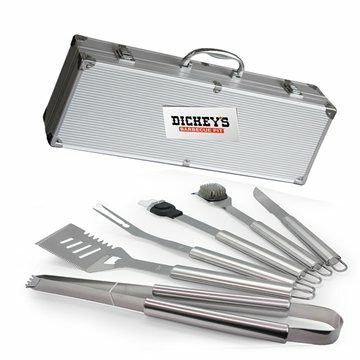 Tools include multi-purpose spatula with cutter & bottle opener, tongs, knife, long reach fork, basting brush & cleaning brush. Packaged in an aluminum case. An excellent cost with this product. LOVED the way the logo turned out. the products were as good as the company had claimed. the logo really stood out. Not much not to like. High quality, reliable product. Feel and look great. The Imprint is ideal! It was inexpensive enough for us to order as a giveaway, but nice enough for our members to appreciate getting one.